Professional achievements aren’t the only rewards you should seek in your work. Here’s why. Are you truly engaged with your work, or are you motivated only by achievements? 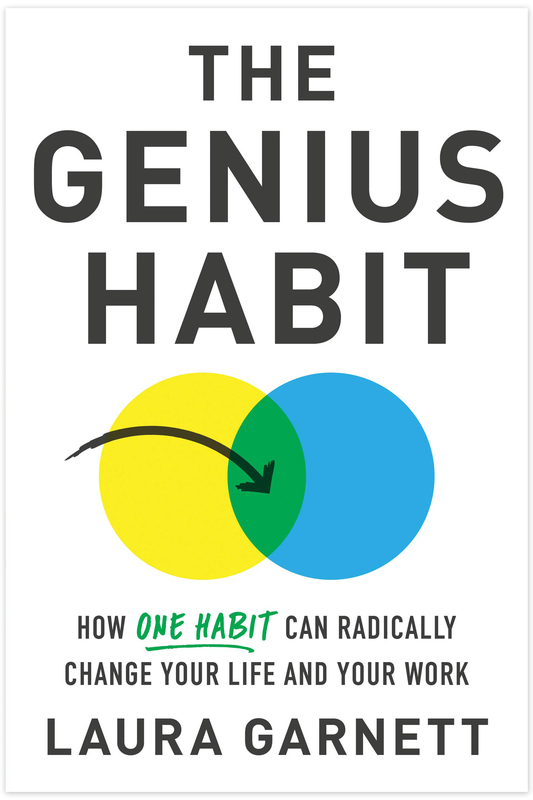 My forthcoming book, The Genius Habit: How One Habit Can Radically Change Your Work and Your Life, to be published on February 5 by Sourcebooks, explains the problems with equating achievement with happiness and ways you can be happier at work. Below is an edited excerpt. Do you experience joy at work? Or do you think of work as just work? Sixty-six percent of employees in the U.S. are disengaged with work, according to a Gallup poll. While the remaining 34 percent represents the highest number of engaged employees in Gallop's history of reporting, some of the people who claim to be engaged with their work are what I refer to as "achievement junkies." These people believe that the act of achievement makes them happy, because something achieved is a sign that they've met a goal: closed a deal, received a promotion or landed a prestigious job. Achievement junkies constantly reserve their excitement for the moment that they achieve something and grind through the work it takes to get to those moments. Depending on the type of achievement they're striving for, they might not be rewarded more often than every few weeks, months, or sometimes years. That's not the experience of having real joy at work. And despite what many people think, it's not the path to extraordinary success. While some achievement junkies have certainly become successful financially, I would bet they're not prioritizing their health or their relationships. It's likely that many other aspects of their lives are suffering in some way, as maintaining the lifestyle required to land high-level achievements all the time when you don't enjoy the process of the work is stressful and requires an enormous amount of effort. To me, those achievements are cheap versions of what can be attained through understanding your genius and purpose. And anyone who says "My purpose is making more money" doesn't really understand the science of motivation. This information may seem surprising. Of course, money, the most obvious extrinsic reward, is necessary to buy the things people want and need. Many businesses have bought into the idea that rewards motivate people, which is why many companies that are seeking great talent use the dangling carrot of endless perks to secure new hires. Like other companies in Silicon Valley, Google is especially known for going overboard on the free perks. I loved those perks when I worked there; in fact, they kept me in a job that wasn't right for me longer than I might have otherwise stayed. But did the superficial benefits motivate me to give my all and do my best work? No. That is the problem with extrinsic rewards: they hook you, but they don't motivate you. Achievement junkies stake their happiness on the energizing feeling they get at the moment of scoring an extrinsic reward. If you are hanging your happiness on achievements, you have to continually be striving to achieve. This quickly becomes exhausting and unsustainable. Most achievement junkies I encounter will tell me that they like their job, but when I press them, I discover that what they really like is achieving goals. The actual process of their work, not to mention their genius and purpose, is not taken into consideration. This is why so many seemingly successful people are stressed, close to burnout, and sleep-deprived. When you don't enjoy the process of your work, you have to consistently use willpower to keep going, which drains your energy, versus being driven by an internal desire, which is energizing. Worst of all, even though it might be stressful, it's easy to become an achievement junkie. Social media has made it even easier to fall into this trap. According to Mauricio Delgado, associate professor of psychology at Rutgers University, you get two dopamine hits when you post about an accomplishment online: one from the achievement itself and the second from sharing it with your friends. It's also easier to talk about specific achievements than about general fulfillment because achievements are concrete and easy to explain. When was the last time someone said to you, "Wow, I had such a great week at work! I'm loving the process of this project I am working on." The more standard conversation is "Wow, I had such a great week at work! I nailed a presentation and brought in two new clients." The trouble is, it's not always possible to hit a big goal every week. So, what sustains you when your big achievements are few and far between? My answer is to choose being in the zone over being an achievement junkie. While anyone can reach a goal, or have an achievement, not everyone takes the time to find work that is truly fulfilling and energizing on a deeper level. Just as any unhealthy habit won't make you happier in the long term, working only for the goal of achievements will limit your potential and likely make your life miserable in the meantime. To identify what I call your "zone of genius," figure out how to be in the zone more at work and avoid the trap of being an achievement junkie. My hope is that it will teach you how to be more proactive and strategic in creating a work experience that is a reflection of yourself and will allow you to create the success you desire, all while having fun along the way. It can also help you build self-awareness and inclusive thinking, two behaviors that go hand in hand with being a great leader--and a great person.